Tajikistan is a mountainous country located in Central Asia, with a population of 8 million people. The country formed a part of many empires over the centuries before falling under Russian control in the 1800s, which led to Tajikistan forming part of the Soviet Union in the early 20th century. Following the collapse of communism and independence a civil war broke out in the country which lasted until 1997. Although now claiming to operate under a democracy Tajikistan’s elections and ruling party have drawn criticism for failing to meet the required international democratic standards. In this guide to online sports betting in Tajikistan first off is an overview of the live betting industry within the country. Then the online industry is looked at along with the possible taxation on gambling winnings. After that the accessibility of online sites for Tajikistan sports bettors is covered before giving some final thoughts on the future of sports betting in the country. While struggling with the title of one of the poorest economy of ex-USSR countries and the after effects of the civil war, there has not been much finance or work put into the gambling structures of Tajikistan. Sports betting and casinos grew in the 2000s as the country began to recover. Then in 2009 casinos were all deemed illegal and forced to close, while other gambling activities like sports betting remained legal . While land based sports betting became more popular, allowing citizens to bet on a variety of markets around the world, the people of the country were not getting richer and many book makers have allowed wagers as low as 1 TJS. This has failed to catch the attention on the larger foreign sportsbook operators, who have left the bricks and mortar market alone and prefer instead to provide their services online. 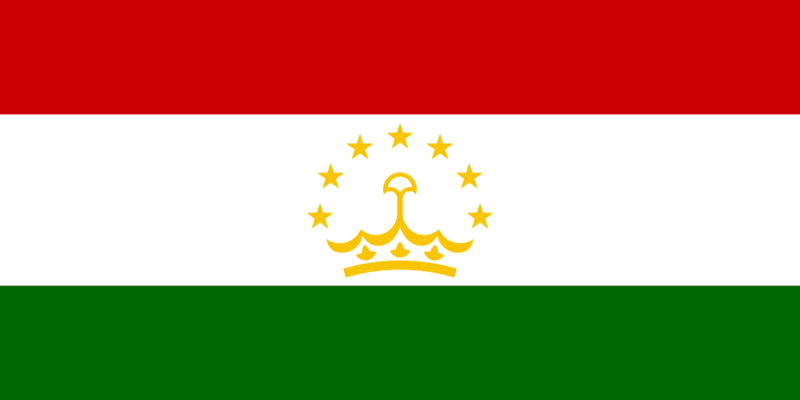 Online gambling is not illegal in Tajikistan, although people are limited by the scarce availability of internet connections. This is getting better as technology advances, especially with the increased usage and cheaper prices of mobile devices. 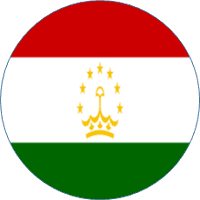 While no sportsbook caters directly for the Tajikistan public, many are available to use. These include several Russian based sites and the large international betting sites licensed mostly in Europe. This give Tajikistan sports bettors a wide choice of international sites to choose from, giving them access to some of the best prices and bonuses on the market. If you choose to use one of these sites make sure you are familiar with the terms and conditions, especially if you are depositing to get a bonus. These can vary widely in value so make sure you know what you are entitled to. It also helps a great deal to choose a site with a good reputation and solid name in the industry. There are unscrupulous operators around although these tend not to last long, so stick with the companies that have an established history and even listings on major stock exchanges. As all the sites Tajikistan sports bettors can wager on are based outside of the country there is no framework in place to tax winnings. This means that when you withdraw your funds you can use them as you like. Finding an online sportsbook which offers a Tajik language site and allows wagers in TJS is unheard of at present so you will have to adjust slightly. Russian is available on many sites or you can of course use another language you are familiar with, or even your browsers translation. Similarly you will likely have to hold your balance and wager in one of the larger international currencies, for example the US Dollar, Euro, Yuan or Rouble. Depositing is not really a problem as long as you have access to a credit card or bank account. Visa and MasterCard are both accepted for deposits, although MasterCard transactions will normally require another method to be able to withdraw, such as a bank transfer. While e-wallets are scarce in this area you can use WebMoney on some sites, which allows you to deposit into an online purse which can then be used to fund and withdraw from your different accounts. Prepaid options such as Entropay are also available. How Does the Future Look for Online Sports Betting in Tajikistan? There have been calls to re-legalize casinos in Tajikistan which may bring in a new gambling bill at some point in the future. Whether religious objections in this Islamic country will stop this or not is uncertain, although the tax it will generate will definitely add assistance to the struggling economy. Until a new bill does pass it looks likely the current state of affairs will remain and sports betting on the internet with foreign companies will continue to get easier as the technology improves.